Have I got a deal for you? 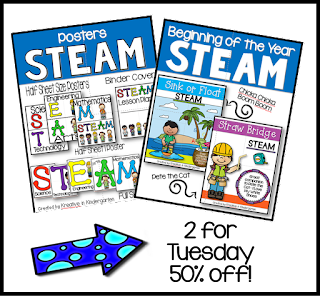 Today I am putting 2 of my newest STEAM/STEM products on sale for 50% off! I am linking up with Cyndie over at Chalk One Up for the Teacher for her 2 for Tuesday link ups! 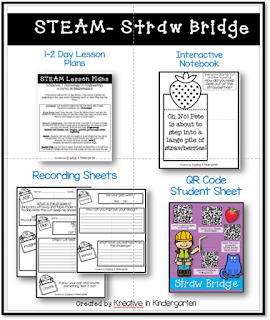 The first product is my beginning of the year STEAM lessons. These are perfect for your younger learners and even up to 5th grade. 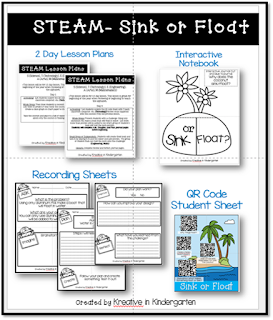 It includes 2 (1-2 day) lessons, interactive notebook page, recording sheets, QR code research sheet, and lots of ideas! I use "Sink or Float" when I read Chicka Chicka Boom Boom and "Straw Bridge" is perfect for Pete the Cat I Love My White Shoes. 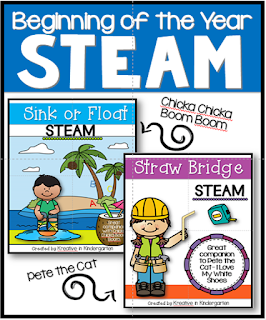 Both books are very popular for beginning of the year and tie in perfectly with these STEAM lessons! 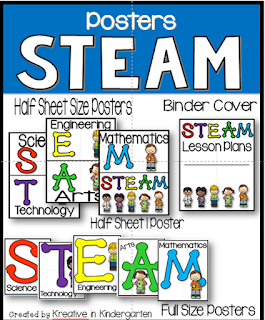 The next product that is 50% off are my STEAM Posters!! I can't wait to use these next year. Our grade level is going to devote part of a large hallway bulletin board to STEAM! These posters are going to make the board really POP and super easy to put together! So go on over and snag these up and get your year off to a steaming start! See what I did there!